With the posts I did last week, about figuring out what went wrong and what went right last year, I mentioned that coming up with the “success” list might be harder for us. That we may feel too boring, too untalented, too full of self-doubt to come up with the good in our lives. We often see inspirational quotes about how we’re the only one who can write our story. But sometimes we might look at that quote and think we’re not anyone special, so our story wouldn’t be anything special either. Bah! I don’t want those negative thoughts to hold any of us back. So let’s talk about how we can discover what makes us special. Why might someone care about our stories? Yep, this is a branding thing. Sorry. *smile* However this isn’t rocket science. Remember that our brand is simply the impression others have of us. So if we create a brand, simply by existing, how do we get the brand we want out in the world? How do we make sure that the impression we want others to have of us is the impression they get? As teenagers, we struggled to figure out who we were, but too many times, we let others dictate those labels. As adults, especially in the online world, we have more power and ability to label ourselves, but only if we make these conscious decisions. If we agree that writing down our goals helps us focus our efforts, we might see how writing down our self-definition can similarly help us focus our sense of our brand. And what is that self-definition called in the context of the writing world? “Our brand is the ultimate in “show, don’t tell.” If we want people to think we’re X or our stories are Y, we have to actually be those things. Great! Maybe we’ve gone through all those steps, but we still don’t feel special. Who are we that others should listen to us? I’m going to tell you a secret. Remember how people want to relate and feel things—not just see a faceless, emotionless brand? That means that as long as we’re passionate about something and can convey that, people will be interested because we’ve given them an answer to the “So What?” question. a more memorable, enlightening, or challenging point? The same concept can apply to us. People will find our passion interesting if there’s a “So What?” factor. Meaning can come from our stories themselves, but it can also come from us. Our passion, our worldview, our values, our way with words. Our story. Not just the story we write on the pages, but the story we’ve lived, the story we carry in hearts. That’s what’s unique, that’s what drives our passion that others can relate to. That’s the genesis of the feelings we engender in others and makes us memorable. That’s what creates an impression of us. What do we love to do most—and why? How did we make the choice to do what we’re doing? If we could share only one thing with the world, what would it be? What was our lowest point or greatest challenge? Those answers will be unique for each of us. Those answers create our story. Those answers prove that we have a special passion to share with the world. Have you ever doubted whether or not your story mattered? Have you completed all the steps of building a brand? Do you feel like you have passion to share with others? Or that you have something to say with your stories? Do you struggle with any of these aspects of branding? I cannot tell you how timely this post is for me. I spent most of yesterday wrestling with a horrible bout of self-doubt. I’ve been struggling since finishing my NaNo novel to come to grips with my ‘brand’ and what it means both for me personally and for my future as a writer. I am known online for being a gamer-geek with a bit of a sadistic streak when it comes to my characters. I am also known for writing complex characters and complicated plots. But more than that I am known for being willing to talk to people who suffer from mental illness or who are from marginalized/oppressed groups in the various orientation spectrums and gender identities. I realized last year that my stories about people who do not fit the norm, people who are not cisgendered/heterosexual or who suffer from mental illness, are important. I have had readers come to me thanking me for writing about a character suffering with an eating disorder or hallucinations or coming to grips with their gender identity. That doesn’t mean I do not suffer doubt. Yesterday was a case in point. I have been writing down my goals for the year and I hope to build a stronger brand that revolves around the topics I care most about and the characters I most love to write but that also shows why I care so much about it. It sounds like you already have a great sense of who you are and what impression you want others to have. So as you said, it’s just a matter of being consistent. 🙂 Thanks for sharing your insights! This post is perfect timing for me, as always. I love the quote by Maya Angelou; it’s one of my favorites. When I read your blog, I feel like I’m talking to a best friend. I enjoy answering your interactive questions. Your brand is definitely helpful and encouraging. I decided last year to build my brand first, before I even finished my novel. But I don’t have the time/patience/energy to write an encouraging blog like yours. So I posted my novel on Wattpad. It’s readers are mostly teen girls which are my target audience. They can post comments and follow me as a writer. One reader said my prologue was so good that it made her shiver. Wow! Immediate feedback! I could have waited to get an agent or self-publish on Amazon, but I didn’t want to wait seven years or just read reviews after the book was finished. I wanted to build my brand/ relationship with my customers/readers right now. This post assured me that I made the right decision for me. Thanks for your help. Aww, thank you! 🙂 And great point about keeping our target audience in mind. I’ve never said that everyone should blog for exactly that reason. If blogging fits in with our goals and strategies, great–but if not, we just have to find what will work for us. It sounds like you’re well on your way to reaching that point. 🙂 Thanks for sharing your insights! Yes! That post I linked to from Seth Addison was all about him learning that soulless professionalism didn’t build fans. So it makes sense that when you let yourself shine through, people react more. 🙂 And LOL! at imagining your eviscerating someone. Thanks for sharing your thoughts! I discovered you the other day. Lucky me. Good information here. I learned a lot. Thanks! Welcome! And please let me know if you have any questions. 🙂 I’m happy to help! What a fantastic overview of branding! I love it that you quote Maya Angelou instead of a bunch of marketing jargon. This is a must-read. Thanks for another informative post! LOL! Yeah, I’ve never looked at branding that way, and it kind of tickles me that I’m now seeing some of the marketing people say the same things I’ve said for years. 😉 Thanks for stopping by! Comprehensive and very informative article Jami. Thanks for the information. Every author can benefit from some of the ideas. I hope it’s helpful for you. 🙂 Thanks for the comment! I stand behind my comment above, Jami, but upon reading it I can see where it’s too forthcoming and casts me in a light that was unintended. My apologies for that. Feel free to delete it, but I thank you just the same for all you’ve done. *hugs* I hope your heath improves. I’ll be keeping my fingers crossed for you and your stories to find their way in the world! 🙂 Thanks for sharing your insights! 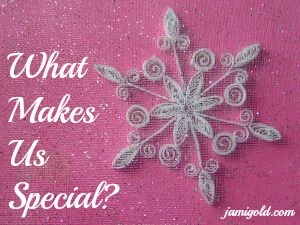 Another great blog Jami. I struggle with this all the time. I love humor and can be a bit of nut but I know that people who don’t know me often see me as quiet and thoughtful. I keep thinking, oh, boy if they only knew the “real” me. Ha! But none of that makes it easier to brand my myself. I still have a lot to learn in this department. Oh, I’m a total dork, so I understand. 🙂 I do a lot of serious and thoughtful posts, but I’m a goofball in many ways too. LOL! *fist bump to the fellow nut* Thanks for stopping by! Good point about not being comfortable in our own skin! I know that’s how I was throughout much of my younger years. Maturity and figuring out the “who do I want to be” questions helped a lot with that. 🙂 Good luck working through these issues, and thanks for the comment! I also love how you’ve consciously decided to stay away from many controversial topics–not just because of the “brand tarnishing” aspect, but also because of the desire for inner peace. I’m much the same way, and like you, I enjoy exploring those gray areas in life and in my stories. Yes! If we go through these questions and figure out that we want to be a “better” version of ourselves, that means we have to be that person. So I’ve appreciated the opportunity to ditch the parts of me I didn’t want to keep. 🙂 Thanks for sharing your great insights! LOL! Yep, you’re a genius who figured out that your brand is just being you. 🙂 Thanks for stopping by! Thanks for this great post Jami! I asked myself the questions you posed again and it reinforces what I’ve been creating for my brand. Expect Mystery, Suspect Everyone. In the first part, I literally say what I write, and then it’s just a play on words for the rest because I love unpredictable stories with twists. Suspense is key to me in reading and writing, but I like to think a bit too, and guess whodunit. Trust is also an underlying theme in my books, so it works for that as well. You’ve done a great job at creating your brand. I also look to other authors like you to help me incorporate mine into everything I can. That’s a great tagline! And it goes well with what you’ve defined for yourself. 🙂 Thanks for sharing your answers! I read Kristen Lamb’s blogging book “Rise of the Machines” and worked through some of the exercises in that, which led to an entirely new ‘About’ page, and a new blog motto: The Eccentric Ethic and AEsthetic. LOL! Yep, Kristen and I are on the same page about being ourselves and genuine with our branding. I think some of those blog-brand exercises you did with that would help you here, at least in giving you a perspective to dig into deeper. 🙂 Good luck and thanks for the comment! Great post, Jami! I’ll be linking back to it on my own blog when I write about my personal mission statements for the genres I write in. It’s something I’ve been thinking about for a long time, but your connection to brand made me realize I need to commit it to writing. Thanks as always for your wonderful posts. I’m happy to help! 🙂 Thanks for stopping by! I wrote for decades and didn’t publish. It wasn’t until I started to publish that I had to try to qualify what it was that I was writing, and why. What was the common thread? Why was I writing, other than for my own enjoyment? I started to go through each book, identifying what it was about and why I had written it, what place it had come from inside me, in order to figure out my ‘brand’. I write riveting young adult and suspense fiction about mental illness, addiction, and abuse. Those are great questions to ask yourself while trying to figure this out. 🙂 Sounds like you have a good handle on your brand! Thanks for sharing!